Citing an investigation that found systematic and state-supported cheating by Russia's athletes during the Sochi Olympics, the World Anti-Doping Agency says that all Russian athletes and government officials should be barred from this summer's Olympics in Rio de Janeiro. 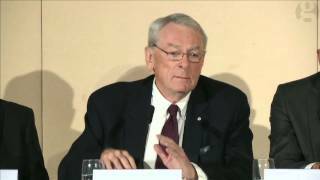 WADA is calling for the ban shortly after the agency released a 103-page report from Richard McLaren, a Canadian who was asked by WADA to conduct an independent investigation into allegations of widespread cheating â€” including, most notably, claims that Russian officials regularly swapped out athletes' drug-tainted samples for clean ones that would pass inspection. Here's some of what the McLaren report found: Russia's Ministry of Sport determined which athletes needed protection under its plan, called the Disappearing Positive Methodology. The plan touched a range of sports, from athletics (track and field) to wrestling, weightlifting, judo, skating and sailing. A steroid cocktail that was "optimized to avoid detection" contained oral turinabol (later replaced by trenbolone), oxandrolone, and methasterone. The report adds that the steroids "were dissolved in alcohol (Chivas for men and Vermouth for the women)." Nicknamed "Duchess," the steroid cocktail was to be swished around in athletes' mouths and then spat out, a process that left them vulnerable to detection for only three to five days â€” a shorter window of detection than other delivery methods offer. In proposing a total ban on Russian athletes from both the Olympics and Paralympics, WADA is going a step further than the ban on Russian track and field athletes that was issued last month by the International Association of Athletics Federations. The International Olympic Committee says that its executive board will hold a telephone conference Tuesday to consider possible sanctions that would include the 2016 Rio games. "The findings of the report show a shocking and unprecedented attack on the integrity of sport and on the Olympic Games," IOC President Thomas Bach says. "Therefore, the IOC will not hesitate to take the toughest sanctions available against any individual or organization implicated." The issue of doping has hung over the international athletics scene for years now â€” including earlier this month, when the U.S. track and field Olympic trials was the scene of an unusual ceremony in which American shot-putter Adam Nelson was awarded a gold medal for his performance in the 2004 games in Athens. The original gold medalist in that competition, Yuriy Bilonogof of Ukraine, "tested positive for banned anabolic steroids in a retest of his urine sample from 2004," as NPR's Tom Goldman reported for The Torch. Responding to the new WADA report, U.S. Olympic Committee CEO Scott Blackmun says: "The McClaren Report confirms what we have stated previously: the current anti-doping system is broken and urgently requires the attention of everyone interested in protecting clean athletes. We look forward to working with the IOC, WADA and the entire Olympic family to address the flaws in the current system so that a uniform approach to anti-doping can be implemented and enforced around the world." As for the coming Summer Olympics, Blackmun says, the goal should be to "give clean athletes some measure of comfort that they will be competing on a level playing field in Rio." 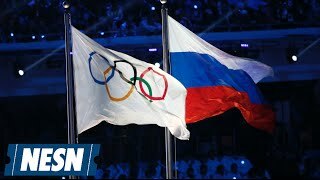 As for what might have motivated some of Russia's top officials to engage in what's being called institutionalized cheating, Michael Newcity, a Russian scholar at Duke University, says that the Sochi Winter Olympics "were intended as a reminder to the world that Russia remained relevant, powerful, and successful." 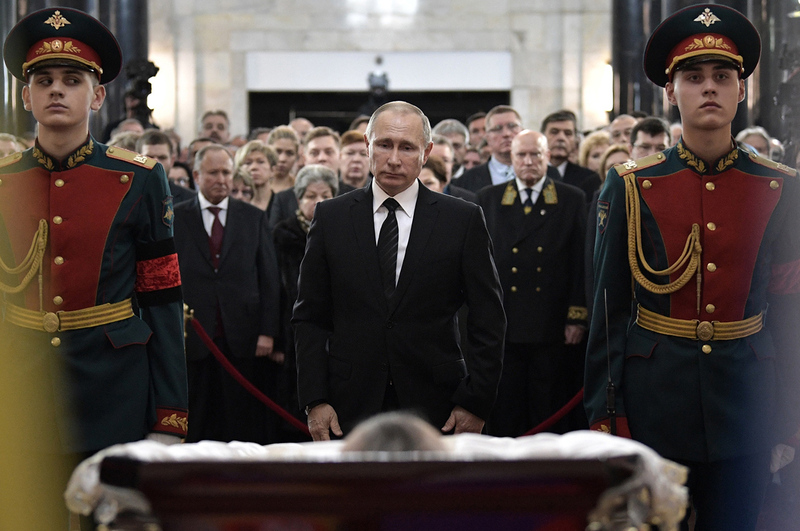 With that in mind, he adds, "the Russian government apparently decided that winning medals at any cost justified extensive and systematic cheating."